BEST OFFER FOR MULTIPLE QUANTITY. FAQ: Which one I will get? There are many different bowls I pictures. Ans: All colors shown in images are natural and you will get randomly any color from that as per natural color of the horn, there are chances that you can get incredibly more beautiful beyond these pictures . 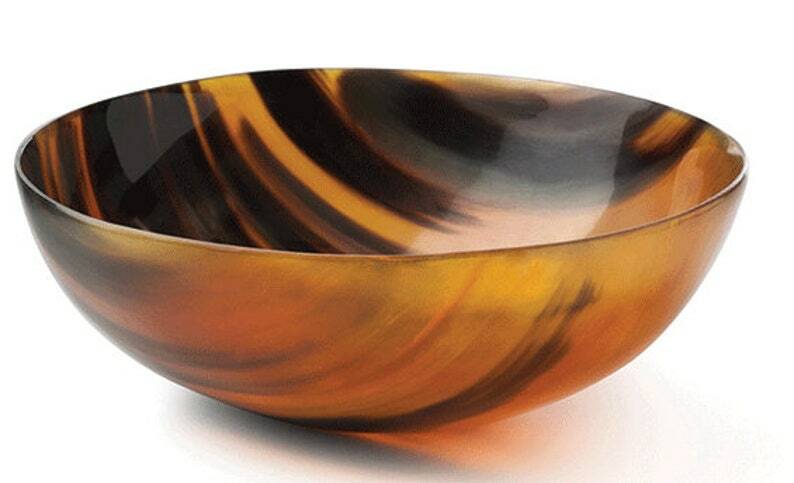 Please let me know how much happy you are with the color and stripes on your bowl by reviewing our product. If you want any specific natural like in picture there is many, let me know in the note, I will try my best to fulfill your wish regarding this. + Our 24x7 customer support on Whatsapp +918909070131 don't hassist to text anytime! Item as described, shipped quickly. The bowl is beautiful and of good quality. Very good contact whith the Seller; also, the Seller was helpful and polite. I recommend.